OSHA head David Michaels said the changes would provide better access to data for government safety inspectors as well as workers, employers, researchers and the public. "Public posting of workplace illness and injury information will nudge employers to better identify and eliminate hazards," Michaels told reporters in a telephone news conference. "We believe that responsible employers will want to be recognized as leaders in safety." OSHA said the change is in line with President Barack Obama's initiative to increase public access to government data. The plan would require companies with more than 250 employees to submit the data electronically on a quarterly basis. That would cover about 38,000 American companies, Michaels said. Miller is the ranking Democrat on the House committee overseeing labor issues. The press for an inquiry cites a series of reports by the Center for Public Integrity and on ABC News describing how lawyers and doctors hired by the coal industry have played a crucial role in beating back claims for benefits from miners sick and dying of black lung. Fewer than 10 percent of coal miners who apply for the benefits, which range from just over $600 a month to about $1,250 a month, ultimately have received them, Labor Department numbers show. And, the request comes as Democratic Sens. Robert Casey (Penn.) and Jay Rockefeller (W.Va.) have begun looking into possible legislative action to address the issues raised in those reports, which revealed how powerful—and sometimes surprising—forces have helped the industry defeat claims. Supporters of Proposition No. 1, which calls for a $15 minimum wage, led 51.58 to 48.42 percent after the latest vote tally was finished on Thursday night, according to King County Elections. That signals a declining lead for the wage measure's backers, who enjoyed a roughly 8 percentage point lead after the initial count on Tuesday. Due to the high number of mail-in ballots, vote counting is expected to continue for days and the results won't be ratified until Nov. 26, according to the city clerk's office. So far, 4,469 ballots have been counted in a vote that was open to 12,108 registered voters. If supporters manage to cling to their narrow lead, the measure's passage would hand a major victory to labor activists. Proposition 1 would establish a wage floor that's more than double the federal minimum wage of $7.25. The $15 benchmark, which would be adjusted each year according to inflation, would apply to an estimated 6,000 airport and hotel workers employed by large businesses in and around Seattle-Tacoma International Airport. Once considered a secure path to middle-class life, airport jobs are quickly becoming some of the worst paid, least stable positions in the low-wage economy. A new report from UC Berkeley’s Labor Center found that airlines and airports are increasingly outsourcing jobs to low-paying contractors, driving wages down to near-poverty levels. Salaries have fallen as much as 45 percent for some workers. As is the case with most low-wage jobs, taxpayers are picking up the slack for airlines’ labor practices. More than a third of all cleaning staff and baggage handlers at American airports must supplement their wages with public benefits like food stamps and Medicaid. Wages for airport jobs have failed to keep up with inflation, falling by 14 percent over 20 years, while they grew more slowly even than those in food services and retail. Meanwhile, some airline CEOs make 300 times what their baggage porters, transportation attendants, and vehicle cleaners make, according to the SEIU. The decline began with airport deregulation in the 1970s, which led to two-tiered contracts that lowered wages for new workers hired by airlines. As more airlines merged, a lack of competition allowed companies to further reduce wages and cut jobs. Industry buildup through the 90s shed more than 100,000 jobs between 2000 and 2008. Eventually, airlines realized that using contractors for services like maintenance, cleaning, and baggage handling was even cheaper, accelerating the replacement of direct employees with outsourced workers who make significantly less. This year, 92 successful campaigns have won representation rights for more than 7,000 new members. 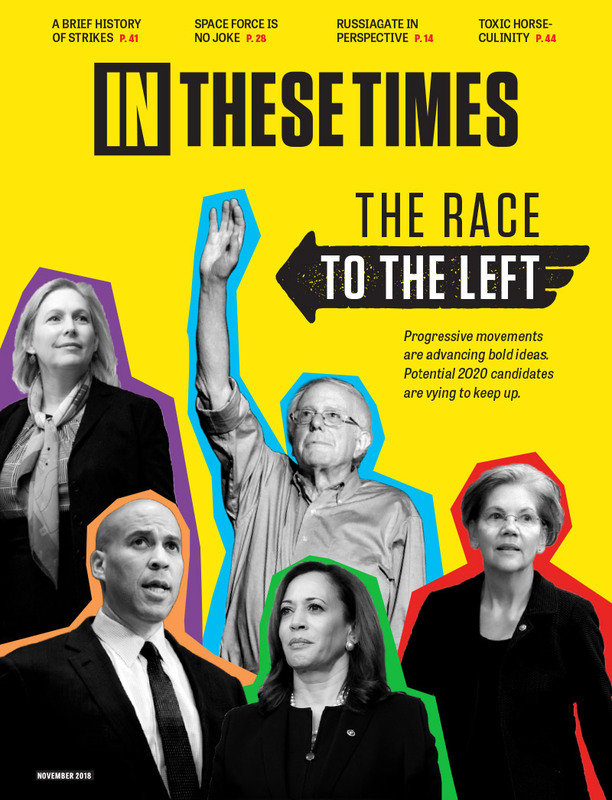 The campaign win rate is a whopping 72 percent—significantly higher than the average organizing ratio for any union in any industry across the U.S. and Canada. "It's an exciting time to be building the IBEW," said lead organizer Steve Smith, who has helped win voices on the job for workers at Comcast in the Northeast. Smith is one of 49 full-time organizers in the professional and industrial branch, a corps that has more than doubled in size since before the 2011 convention, largely due to added funding from the membership. Other improvements include the addition of IBEW leaders assigned full-time to business development at various locals throughout the U.S. and Canada, as well as new membership-boosting trainings that have been launched by the Education Department at the International Office in Washington, D.C. But behind the numbers are stories — lives that have been changed, families that have been strengthened, and hard-won dignity that reverberates long after the votes are counted.